It’s that time of the month again! Gather your friends and join us for a night packed with laughs, drinks, tears and discovery! 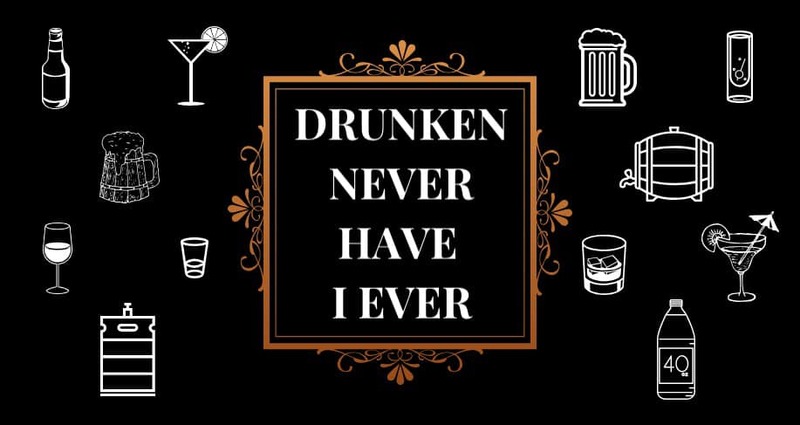 This month only guest stars Jordan Reichardt and Michael Kittelson from Never Have I Ever! Don’t let this show be another finger for never have you ever! Drink specials for this show only! This month we have three different packages! Drunken : Tickets and choice of where you sit (besides previously reserved tables)! A round of rail mixers for your table, a round of Jell-O shots, and a handmade thank you! (Group of 4 would be $75). EMAIL US AT drunkenshows@gmail.com to reserve your tickets! Note: This is not a ComedySportz match. All passes, gift cards, etc. for ComedySportz are not applicable for this performance.